More than 80 percent of the military's F-35 fighter jets have been cleared to fly after the entire fleet was grounded last week for inspection following a September crash in South Carolina. The F-35 Joint Program Office said Monday the majority of the single seat, single engine jets have resumed their flight operations after an enterprise-wide inspection was ordered on the engine's fuel tubes. If the jet was found to have no problems with its fuel tube, it could resume flying. If an issue was found during the inspection, the tube was removed and replaced, the Pentagon said. 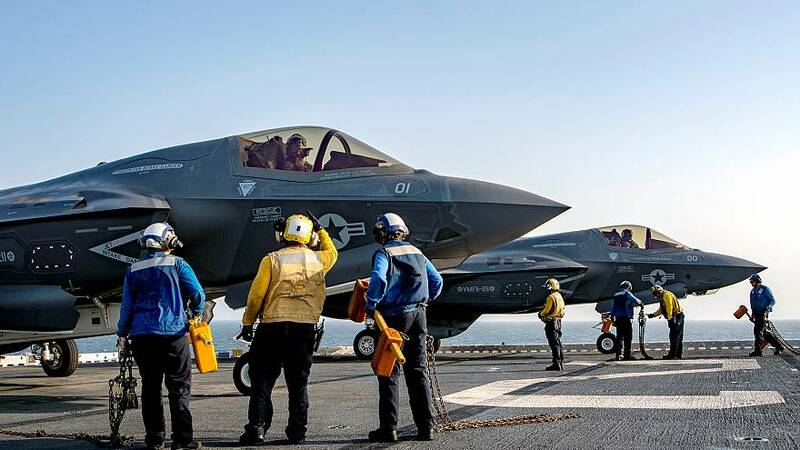 There are collectively more than 240 F-35s inventory between the Marines, Air Force and Navy. Officials ordered the inspection following a nonfatal crash on Sept. 28 in Beaufort, South Carolina involving a U.S. Marine Corps F-35B. It's believed the cause of the crash was the result of a faulty fuel tube. The pilot of the jet was able to safely eject from aircraft before it crashed.